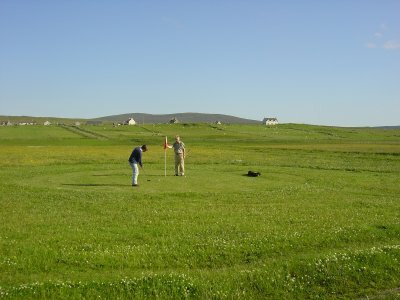 Sollas golf course is a 9 hole links course on the North West of North Uist over-looking the Atlantic. The course was built and maintained by local volunteers in the summer of 2001. The course is on the machair used by the local crofters who have given permission to use the land to play golf.